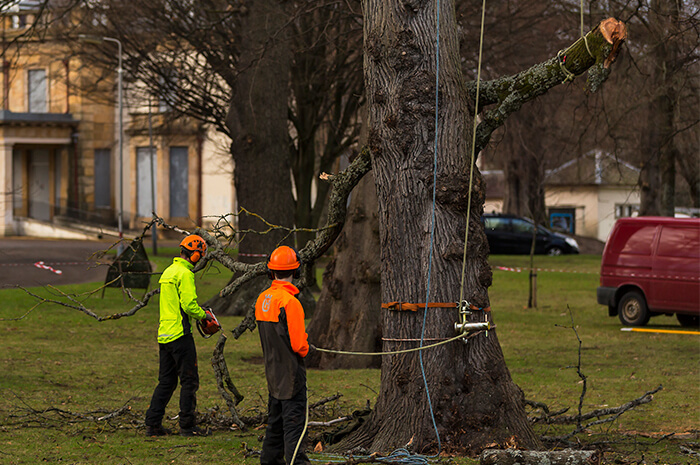 UKL offer a complete tree care service that covers both planned, preventative and emergency response works. Our reputation has been built on excellent customer service. Our commitment and drive to achieve the highest standards possible has meant that many of our customers have been with us since the company formed in the 1980’s. We provide arboricultural advice, surveys and tree surgery works to many market sectors. Removal of Deadwood – removal of dead, dying and diseased branches. It is often accompanied by a crown inspection to report on the tree condition. Crown Thinning – removal of a percentage of small growth within the crown to allow more light to filter through the canopy. Crown Reduction – reducing the overall canopy. Crown Lift – raising the canopy of the tree to allow more light to enter the ground below. Formative Pruning – eliminating faults which may be a problem as trees mature. May also involve removal of competing leaders and poorly formed branches. Young Tree Maintenance (YTM) – maintenance of young trees from planting to the point they are fully established. Stump Grinding – the mechanical removal of tree stumps to a depth specified within the contract. This enables the reinstatement of paving and turf. It also inhibits the formation of harmful fungi and pathogens. Stump Treatment – application of herbicides to felled stumps to prevent regeneration. 24/7 & 365 emergency response. We provide FREE Quotations to our customers.